Video streaming website Hulu has been considering its options after a potential buyer approached it with an unsolicited offer. Google, Microsoft and Yahoo have been mentioned as possible suitors and now it seems another giant has entered the fray: Apple. According to Bloomberg and The Wall Street Journal, both citing sources familiar with the matter, the Cupertino-based company is considering making a bid for the site to bolster its video offerings. Apple currently holds about 4% of the video streaming market, compared with Netflix's commanding 61%, according to a study done earlier this year by the NPD Group. 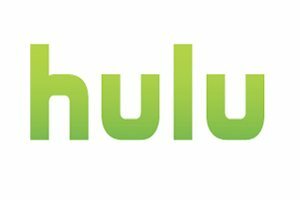 With Hulu reportedly asking for a sum close to $2 billion, the move wouldn't hurt Apple's cash position too much and it would tie in well with the company's Apple TV streaming box -- or perhaps with the eternally-rumored TV set that analysts believe Apple will launch at some point in the future. Hulu owners -- Walt Disney Co., NBC Universal, Comcast Corp., Providence Equity Partners and News Corp.-- are reportedly offering any potential buyers a five-year extension of program rights, including two years of exclusive access. If Apple does have plans for a subscription-based video service, purchasing Hulu could go a long way toward securing the infrastructure and rights it needs to make that happen, but it also goes against its traditionally closed eco-system strategy. The company offers TV shows and movies rentals or purchases through its iTunes store on Windows, Mac OS X, and a range of iOS powered devices, but not on third-party devices like the Roku set-top box or Blu-Ray players. It's not clear what an acquisition by Apple would mean for Hulu and its ongoing support on rival platforms. Rumors of a possible buyout come as Hulu faces mounting competition from fast-growing rivals such as Amazon and Netflix, which has more than 22 million paying subscribers in the U.S. But Hulu isn't doing too bad itself. Company executives have said Hulu is on its way to pulling in $500 million in revenue over 2011, while the service's user base continues to grow with over 27 million visitors a month coming to the site.